The 10 best dog food choices will keep your family friend happy and healthy. Orijen dog foods contain 70 percent meat, 30 percent fruit and vegetables, and 0 percent grains, a mixture the company calls "Biologically Appropriate". Fresh, natural ingredients easily make this one of the 10 best dog foods. Dog Food Adviser gives Orijen 5 stars, which is the highest possible rating. Nature's Variety is made from organic ingredients, with no fillers, by-products, or artificial additives. The food received a six-star rating at Dog Food Analysis, the highest score possible. Innova EVO was another product receiving a six-star rating from Dog Food Analysis. Product users submitting reviews to Amazon.com routinely give the product four-to-five-stars, depending on the specific variety. Like the other top dog foods, EVO is made with high-quality ingredients and is high in protein. Go! Natural was named a six-star pet food by Dog Food Analysis, with the review touting the food's antibiotic free, cage free, and hormone free meat. 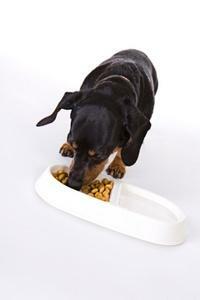 As a grain-free food, it provides the essential nutrients a dog needs without bulky fillers. ConsumerSearch named Natural Balance one of the best dog foods, saying, "its ingredients are the best you can buy for your dog." Raw and organic formulas provide specialized products with high-quality ingredients. While many of the other entrants on this list are dry foods, Evanger's Classic is a top canned dog food. It was listed as a six-star food at Dog Food Analysis. The company's dry food was named one of the healthiest dry dog foods by Whole Dog Journal. They also offer game meats like buffalo and pheasant, a unique dog food choice. Timberwolf Organics received 5 stars at Dog Food Advisor, placing it solidly in the 10 best dog food brands listed on the site. A canned food with human-grade ingredients, Canidae was another top pick from ConsumerSearch. The company's foods feature all-natural ingredients and ten skin and coat conditioners. Nutro is a popular choice among consumers looking for a premium dog food with quality ingredients. One variety reviewed at Epinions.com received 4.5 out of 5 stars, with writers praising the food's quality and suitability for dogs with sensitive stomachs. Chicken Soup for the Dog Lover's Soul offers premium quality at a lower price, so it can be a good option for the more budget-minded consumer. It was a recommended dog food in the ConsumerSearch dog food round-up.